As a member of the admissions committee in our graduate program, I read a lot of letters of recommendation. As a faculty member in a department with a lot of master’s degree students, I also get asked to write a lot of letters of recommendation for graduate programs. Here is some advice for asking people for letters of recommendation, and helping them write good letters for you. Remember that writing a good letter of recommendation takes a substantial amount of time. Writing many good letters of recommendation can take an enormous amount of time. Keep this in mind when asking for a letter of recommendation. Be prepared to be asked for a draft of the letter that you want someone to write for you. This probably won’t happen with letters of recommendation for graduate school, but you will often be asked to write a draft of your own letter if it is for a job, a visa, or things like that. Think about who you ask for a letter. When your letter is read by the program to which you are applying, the committee will weight letters differently, depending on the characteristics of the letter writer and the nature and length of your relationship with them. People who have more experience with you will have their letters taken more seriously than people who have less experience with you. If you have taken three classes with someone, they are in a better position to write you a letter than someone with whom you have taken only one class. Think about what your grade was in that person’s class. Someone from whom you got an A can write you a better letter than someone from whom you got an A-. Now that you’ve identified a potential letter writer…Don’t ask people if they would write you a letter of recommendation–ask them if they could write you a strong letter of recommendation. You don’t want someone to say “yes” to a nonspecific request for a letter, and then write you a lukewarm letter. Now you want to help your recommender write you the best letter possible. To do this, you want to send them the following three things: (i) the letter that you wrote to the school to which you’re applying, (ii) your transcripts from the program that you’re currently in, and (iii) an example of your research, such as a paper that you wrote for the recommender. (If you sent the department a resume, then send a copy to the recommender, too.) (i) is really important. You customized your letter for every school that you applied to (right? ), and it can help your recommender customize your letter. In particular, you should have identified in your letter at least one specific faculty member who you could see yourself working with. (If you can’t identify at least one specific faculty member at the school who you could see yourself working with, you probably shouldn’t be applying there!) If your recommender can see in your letter who you would like to work with, then your recommender can specifically mention that person, which strengthens the letter overall. Along the same lines: as Chris Brew puts it, really strong recommendation letters follow the “show, not tell” rule. That is, they mention specific things that the student has done, such as writing a really strong seminar paper or doing a really great analysis. You can help your recommender do this by repeating back to them their comments to you, e.g. their comments on a paper that you wrote, etc. 1. Make sure that you waive your right to view the letter, whether through an online recommendation system (like most universities use) or in a hard copy form. The comments of a recommender who is writing a confidential letter will be taken more seriously than those of one who is not. 2. If you are asking your recommender for multiple letters, make her a list of each and their due dates. Even if she will be getting an email request from each university to which you’ve applied (and most recommendation letters these days are uploaded by the recommender via online systems like ApplyYourself), the recommender wants to see that list. 3. If there are areas of concern in your transcript or academic history—or even in the degree of fit between you and the program or job–make sure to mention those and counter them in some way in your personal statement, so that the recommender is better able to address those things in her letter. It’s better to speak about an obvious area of concern than to hope no one notices—and this holds both for you and your recommender. If you need a little bit of comic relief related to this whole process, check out the novel Dear committee members, by Julie Schumacher. It’s a pretty hilarious epistolary novel which takes the form of a series of letters of recommendation by a curmudgeonly liberal arts professor. Highly recommended. Thanks to Chris Brew, Larry Hunter, and Laura Michaelis for feedback on this post. Some of the suggestions come from them. It’s way harder than it should be to get Google to point you towards instructions for figuring out whether or not your data fits Zipf’s Law. Since this blog is all about the effects of Zipf’s Law, this seems like a good place to publicize how to do that. It turns out to be pretty easy, once you’ve learned what it is that you need to do! 1) You’ll want to use R and import the igraph package. 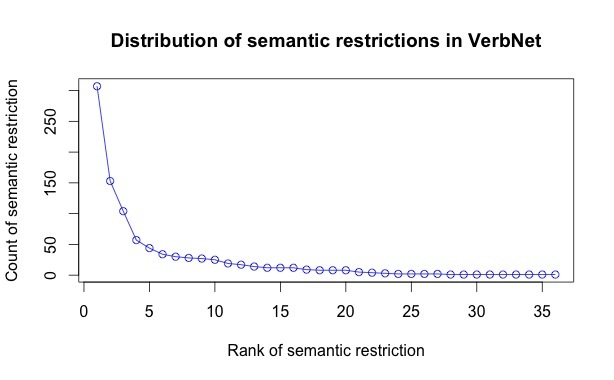 2) Put your data into a vector. I sorted mine, but I don’t know whether or not that’s required. 3) Pass your vector to the power.law.fit() method. 4) The output will include KS.stat, which is the value for the Kolmogorov-Smirnov test, and KS.p, which is the associated p-value. 5) If your data DOES fit the power law, then your p-value will be greater than .05. If it’s less than .05, then your data does NOT fit the power law. 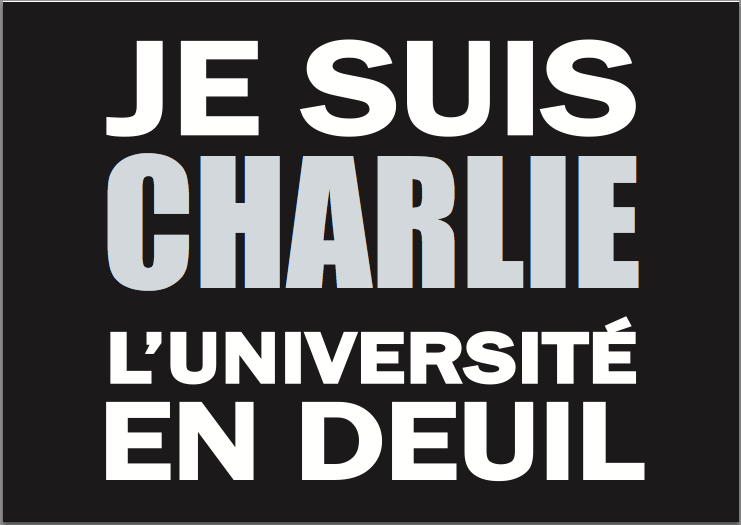 Sign distributed by email for printing out and carrying at the demonstration to protest the murders of the Charlie Hebdo journalists and policemen. un attentat: attack; bombing; assassination attempt; assault; offense; outrage. The Charlie Hebdo murders are described in the news as an attentat. boucler: a number of meanings, but in this case, to close off or cordon off. The street where the attacks took place was bouclé afterwards. cacher (also cachère, kasher): kosher. The second attack was at a cacher supermarket. la banderole: banner, streamer. There will be a banderole for people associated with universities at the march. en deuil: in mourning. See the picture—it’s a sign that was distributed via email for people associated with universities to print out and carry during the demonstration.